Subscribe to our daily announcements! There is a choir pop concert tonight at 6:30 pm. Admission is $5. This is a fundraiser concert. There will be a campaign meeting in B211 on May 1 for anyone running for class office. Applications are available on B213 and are due April 25th. Students can now sign up for the Lip Sync Battle hosted by the Blue Devil Players on April 26th. There is a sign-up sheet on the auditorium doors. Groups can be no more than 5 people. Congratulations to girls tennis and JV baseball on their wins last night. Congratulations to the Boys Track team on their District 9 Championship. For our Senior Boys, this makes 3 out of the past 4 years they have won the District Championship. LHS Bowling Try-outs will be May 28th and May 30th at Pro Bowl West. Lane assignments at 3:00 pm and tryout will begin at 3:30 pm. You must bring your sports physical paperwork with you in order to try out- no exceptions. You must attend both days to be eligible. You must bowl 3 games both days. 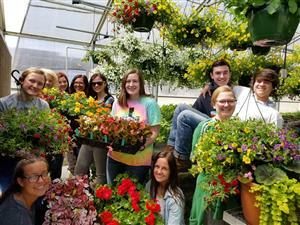 Lebanon FFA Plant Sale is going on now. Regular Hours will be Monday-Friday 8 am to 4 pm- Special Hours on Good Friday, April 19th 8 am to 11 am. 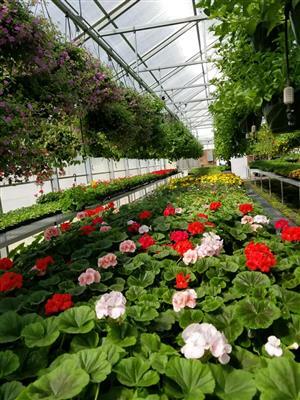 Hanging Baskets $10-$15, Flats of Flowers and Vegetables- $10-$12, Vegetables include tomatoes, peppers, cucumbers, squash, zucchini, and okra) Boston Ferns $15 and Planters $20-$25. AP Euro review is on Thursdays. Freshman class shirts are on sale at the Blue Devil Bank. Class shirts are a great way to have a tangible memory of high school. Writer's Room B211 every Monday from 2:30-3:45. Stop by and sign up for an adviser for help with writing or use space to study and do homework after school. Chromebooks are available. Students can work on homework, get help with their papers, get tutoring, etc. Driver’s Permit- Student's getting their Driver's Permit need to request a Truancy from the Attendance office in A100 24-hours in advance. Parking on Campus: Remember that if you are parking on campus, you must have a parking pass. Passes are available at the Blue Devil Bank during your lunch for $20. Exam Exemption policy- The policy remains the same as last year. All students can be exempt from their exams if they have a 90 average or higher and have no more than 3 excused absences and no unexcused absences. The online Student Agenda has been updated with changes regarding principal discretion and parent notes for the 2018-19 school year the Spanish version is also available after the English version. As a reminder, there are no hoods, hats, bandanas, or anything that covers your head allowed in school. There are also no blankets allowed; they will be confiscated. $75 graduation fee is due.